Approx. 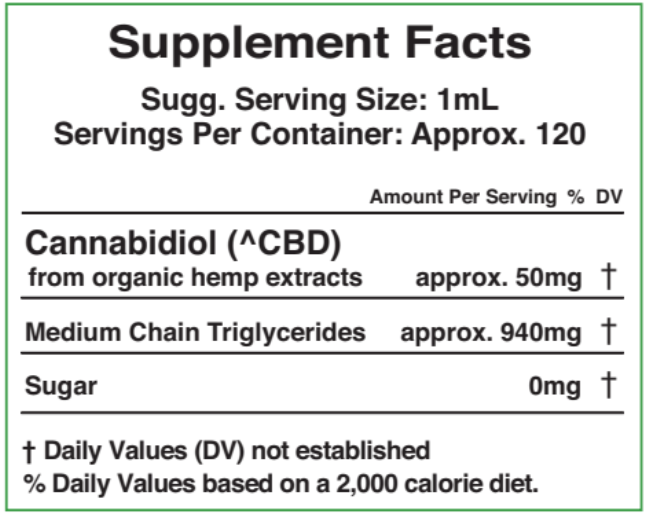 50mg of CBD per serving. Suggested Use- Ingest 1mL one to two times daily. Each serving contains approximately 50mg of CBD.